These past couple of months, FIRE (Financial Independence, Retire Early) has been in the news, included in the main newspaper websites (here and here) and other media outlets. Although for a long while, there has been more publicity in the US due to the exploits/fame of Mr Money Mustache, FIRE in the UK has been quieter but steadily growing, the community expanding and awareness increasing. Even the BBC picked it up with this article, which unlike some of the other articles, does not include the usual hysterical negative comments. In one way, I’m finding it quite exciting that FIRE is in the public eye. It’s good to hear about UK ‘ambassadors’ of FI, people happy and willing to go public and get the message out there to the masses. Personally, I think more people should aim for FIRE, even if their ultimate aim isn’t to retire early – ok, that means aiming for FI! It won’t do them any harm and if they don’t ultimately achieve it (whatever ‘it’ is), their personal finances would be in a far more reasonable state than had they not made the attempt to follow some of the ideas or the ethos. However, in another way, I’m not sure I’m totally comfortable with all this publicity that FIRE is getting. Not because I liked being in a secret little club (like Fight Club, you don’t talk about it, etc). I’ve been on this journey a while now but I’m no ‘ambassador’, nor do I have any interest in being one or being in the public eye. With FIRE becoming more mainstream, there’s an increased chance of someone stumbling across my blog and saying “OMG – I know Weenie!”. I’ve been blogging semi-anonymously all this time and no one I know is aware of my blog. If my family discovered my blog, I think I’ll be fine with it. Probably. If it was friend or colleague, I think I will be mortified! Because it feels ok for me to be talking publicly about my finances to a bunch of people I don’t know on the internet but not to discuss them in minute detail with my friends. I’m sure it’s not just me. If there is the rare conversation about money, there are definitely no numbers involved anyway. It’s possible that my friends might view my blog positively but I quite like not having to talk about it with anyone who knows me personally. It seems too…private, and yet here I am sharing all with anyone who happens to read my blog! I take care not to mention the name of the company I work for – don’t want to be sacked for integrity/reputation issues after all. Ah well, if I get found out, I’ll get found out! I’d just rather it was later than sooner, ie when I’m near achieving my goal as I’m sure I couldn’t care less by then! Some of you may have seen the Huel experiment which theFIREStarter has been conducting. I won’t go into detail since it’s all explained in his post but essentially, Huel has been marketed as a nutritionally complete food, convenient, affordable with minimum impact on animals and the environment. It’s 100% vegan. I prefer to drink it out of a glass, though it means more washing up! I commented that this wasn’t for me but to cut a long story short, I somehow ended up ordering a couple of bags to try out myself! I’ve been trying to shift a few pounds of excess weight (from last winter!) and thought perhaps that Huel could help. Well, I’ve been on it for over month now and I’ve probably only lost a couple of pounds, so not very positive on that front. However, my clothes seem to fit me better so it seems like I’m a little less bloated, not that I thought I was bloated before. I have only replaced one meal a day, 5 times a week. Normally, the meal I’m replacing is my breakfast – it’s all very well work providing free breakfast as a perk but that huge bowl of Crunchy Nut cornflakes I used to scoff most days was not good for me and rather high in calories! A Huel shake in the morning is better for me and still keeps me full until lunchtime. It’s also a great post-workout drink. My standard Huel shake is made with milk (soya or semi-skimmed), topped up with decaff instant coffee and a teaspoon of chia seeds. The coffee seems to make the shake less sweet – the flavour I’m on is vanilla (new). One thing I have noticed is that the Huel shakes are very high in fibre – even though I’m generally vegetarian during the week, (just for convenience rather than for anything else), I could always do with more fibre in my diet so this is a good thing. I don’t feel any different or any worse, energy levels are the same but I can see that if I do want to seriously diet, I have the option to up my Huel meals. As TFS mentions though, there is a placebo effect – since I’ve started on Huel, I’ve consciously cut down on snacks and upped my exercise. I got some great info from the Huel website and forum which is likely to be a life changer for me – I’ve been going about my life thinking that an average woman needs 2000 calories to maintain healthy weight. However, I’m smaller than the average woman so need less calories (only around 1500), so with that in mind, I’ve started to adjust my normal food consumption. I don’t think I could ever replace all my food and go 100% Huel but I think replacing occasional meals the way I have can be sustained fairly long-term. My food shopping bill has gone down a little, though not by too much. If anyone is interested in trying Huel and wants a £10 voucher (I get one too!) to use if they place an order >£40, please contact me direct and I’ll send you the link. Is Huel the food of the future? Not so sure, but in a small way, it’s environmentally friendly so perhaps it has its place. I think I’ll also give this a try. Can you send me the link? Great, I’ll drop you a note via the contact on your blog! Hey Weenie – I’m also impressed nobody has discovered you yet! I’m similar that I don’t want to be in the public eye until I am ready to give up working – the risks just aren’t worth it – and I also don’t want the publicity and all the haters that brings..
Well, let’s see if we can both continue to sneak under the radar for a good while longer! Being in the public eye for me brings no benefit that I can see. Or maybe it’s because I have no wish to try to make any money from such publicity! I definitely don’t want to be found out either! Only three people know about my blog. Being anonymous helps me write stuff without fear of embarrassment or judgement in my real life. Agree, I think my writing would change if I got found out, for fear of judgement or embarassment. 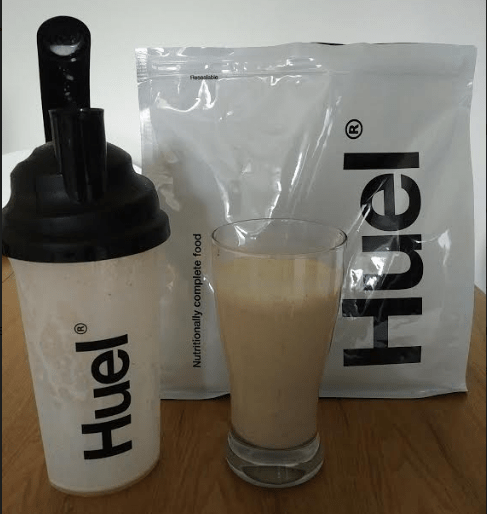 Good luck with the Huel experiment – what a great idea to use it to transition to veganism! I hadn’t even thought to mention it to my vegan friends! I admit being outed is one of the reasons I don’t blog about being FI, or the roughly ten year journey it took to get there. Another is the ridicule the idea attracted when I first mentioned it on Money Saving Expert back in 2004. I don’t think it had a term to neatly describe it back then. It was a very lonely path until I discovered the likes of Tim Ferriss’ Four Hour Work Week. A couple of pounds of weight loss in a month is actually very good and healthier than losing a lot in such a short period of time (although it would be better if you knew which proportions were fat/muscle etc – some scales will provide this). But the fact your clothes are fitting better suggests a good change in body composition. That’s a shame, sounds like you have a great story to tell about being FI which people (I include myself!) would be interested to read and learn from. There are many blogs with people still on their journeys, not so many of people who have gone and done it and are living the FI life. Well done to you anyway for achieving it, despite the ridicule and loneliness you mention. Yes, perhaps in my mind I was thinking that the weight would just drop off me but that would be unhealthy. They do have one of those fat/muscle scales at my gym so I think I’ll check that out, cheers. My experiences with people who I told about my aspirations for FIRE aren’t that good, but I am not all too worried about being found out. If it happens it happens. No one is replaceable they say. And that applies to employers as well as far as I am concerned. They should be happy I am willing to work for them and not a competitor (I know I am in a position where I can afford to think like this). I do things my way. I slept in tents above the Arctic circle, built mining computers, put up a Putin calendar at my American employers’ office when Trump won the elections… (what about your loyalty Marc??). And now I seek FIRE. Yes, I recall reading about the not-very-positive reactions of people you told of your plans. I mentioned retiring early to my boss when she had first started – I’m not sure she really believes me but it wasn’t negative but that’s not to say I’d want her to read my blog, especially as I’ve mentioned her in brief occasionally! And yes, it works both ways – employers can choose their employees and employees can choose their employers – I don’t have any complaints with my work so they can’t say I’m not doing a good job, although I probably shouldn’t be replying to blog comments duirng work time! I won’t, FBA, but I took the FIRE ‘red pill’ so it’s too late to turn back! I can definitely relate to being happy to share financial details on my blog, but not wanting to discuss them with friends and family! Unless someone brings it up first, and then I might share some tips and ideas. It’s probably the main reason why I started blogging anonymously, and why I can’t see myself sharing it with friends any time soon! I know, tell me about it! Even tips and ideas can be poo-pooed by those who don’t see the bigger picture. I mentioned recently to a friend that perhaps she could check to see if she was on the cheapest utility supplier and her reply wasn’t ‘good idea’, but ‘I’m not frugal like you…’. No chance of her finding my blog with views like that, anyway! Hi Weenie, I’ve drifted off my own blog partly due to the concern that I’d be “uncovered” as FIRE became more popular. I’d be exactly like you too, ok with family and friends finding out, but mortified if it was workplace acquaintances. Plus I found I was repeating myself and not saying much new. To try and address this I increasingly had the inclination to start on Brexit or Trump, and I didn’t want to go that route on that forum. I might go back to it, or may start a new blog at some point. But I hope you keep going with yours! Good to see you still about and I’d been wondering what you were up to – hope all is well with you and yours. Have really enjoyed your writing (don’t think it’s repetitive) and you are unique in that you were FI, tried early retirement but decided to go back to work – there’s no other blog like yours, so it would be a shame if you hung up your blogging boots but understandable – this FIRE publicity isn’t great for us anonymous bloggers. I have no intention to stop blogging just yet, so you’ll have to put up with me a while longer! It is a worry that has been increasing recently for me as well, with all this exposure of FIRE! I had a Guardian Journo contact me the other day and I was in two minds about whether to gain “that kind of exposure” but the decision was made for me as I didn’t get back to them in time to be in the article. A lucky escape perhaps! I would definitely get in trouble if someone at work found out (if they bothered to read the details of some of the archive posts) because I’ve slagged things off specifically about work, and also admitted to match betting on work time… pretty sure they wouldn’t be too happy about that haha!!! I’d also be uncomfortable with family and friends reading my monthly income/expense reports, although it is weird to say that we don’t care if random internet strangers know that, I think everyone will understand why that counterintuitive stance is why it is. One obvious example: If random commenter gets all judgey on what I earned/spent then I can just ignore them or tell them to get knotted. If my Dad see’s it then it’s a different matter! Or one of our friends who we blew out on an expensive night out we didn’t really fancy because “we couldn’t afford it” etc…. Although having said that, I have literally told my sister the exact URL of my website (years ago now) and she literally never even bothered having a look (although I didn’t reveal the exact nature of the blog to be fair, but I thought she might have been curious enough to have a look!). Again maybe a lucky escape but I think the moral here is that most people don’t really give a t*ss what you are up to on the internet, even your own family haha! I’m not sure what I’d do if I was outed in personal circles. I may even take all the financial details down off the blog to be honest, although it would be sad to do so, I think it might be the best option. Donebyforty did exactly that after a few of his acquaintances found his blog I know and I fully do not blame him! He has started to give out some high level financial figures again recently, maybe I’d do something similar, or just go with the classic “Percentages only” option. A lot to think about there eh! Cheers weenie and good luck with the continued Huel experiment, I’m just off to order my next batch now, 3 bags lasted us over 2 months which ain’t bad! Shame you didn’t get to talk to that journo as the resulting article was quite balanced, although I’m sure there would have been negative comments about you ‘being able to afford’ to go part-time on ‘high wages’. It is strange that many of us are willing to talk to strangers about our finances but not friends and family but I agree with what you have cited – you can ignore strangers, you can’t get away from your family! Didn’t an ex-colleague of yours come across your site one time? I’m not sure I’d be comfortable continuing to share my numbers if found out – perhaps it depends on what kind of reaction I get. I’m nearly at the end of my first bag of Huel – different flavour next time (Berry) so I hope that tastes ok too! I can relate to the concern about being found out. It’s why I’m going to keep some specific details vague on my blog. For example there are some things going on at work that I would love to write about, but it would make it possible for people who are alert to work out who my employer is. As a result I’l store it up and write about it in a few months. Like you it’s friends and colleagues that I’m most concerned about. The main reason for me is that I know that it could lead to some jealously I also think that some people would see it as an implicit judgement on the life choices they they have made. I think many people worry a lot about money. While they may be prepared to hear in the abstract that there may be a different way it would be different for them to realise someone they know doing things as differently as many of us do. Much as I would love for what the FIRE movement to become the norm, I just can’t see the societal shift that requires happening for many years. Until it does I’m quite happy to keep what I write under cover! When I was being made redundant, I shared a few details (though not too much) about the company I worked for – anyone in that industry would have known exactly who I was talking about. Good idea with banking info to save for later posts when the ‘news’ is no longer relevant. Yes, I feel that rather than seeing what they read about FIRE as new ideas they try, some feel it is a judgement on what they are doing with their lives (although there are some FIRE bloggers who do seem to call out people who enjoy spending). I am not convinced on the meal replacement weenie. I hear these products use sweeteners and there is research linking sugar replacements such as aspartame and sucralose with cancers and also destruction of essential gut bacteria. So please check the ingredients so you are fully aware of all the possible associated risks. Maybe HUEL is OK on this score but better safe than sorry (as my old gran used to say). Yes, Huel does indeed use sweeteners. I’d convinced myself that the amounts I’m consuming are small enough to not do any lasting harm but don’t want to take any chances so have decided that once I’ve used my current supply, I will be ordering unflavoured and unsweetened Huel. Gut-wise, I’ve been fine, as in no adverse affects..so far anyway. Thank you for your concern! I’m see things a little bit differently to you Weenie. Quite a few people who know me know about the blog. I keep my anonymity for the people who don’t know me. I think that’s important from a professional point of view. It’s also important as Mrs YFG still works too. From the comments, seems like your view is a little different from the rest of us! I’m contemplating becoming non-anonymous when I finally pull the plug, since I won’t be working so couldn’t care less about what anyone thought! I think I’d be okay if I got found out by family as well, although I would prefer not to. It makes me feel as if I have more freedom to write freely. Although I am sure my family have a vague idea of how much we earn, there is something about confirming it for them in black and white together with our expenses which makes me nervous. We don’t want to be known the family member ‘with money’, jokes start to be made what they think we could afford to buy or how ‘tight’ we are. In terms of colleagues, that’s a strange one. With me being in the Police and Mrs. CC in the military, our colleagues know how much we earn as our pay scales are public and based on years of service. In the office, we sometimes compare payslips, look at each other’s overtime payments and moan about how much tax we paid. Of course, they won’t know about of side incomes, but even if they did, I don’t think it would bother us that much. What would concern me is how we could be perceived as somehow less committed towards our jobs if colleagues read my blog. Of course, the notion of being less committed is just nonsense because they would only need to look at the quality of our work. However, we could be discriminated against, consciously or unconsciously which would affect progression and other work opportunities. I guess if I worked in similar sector eg police/military/public where pay scales are defined and based on service, I might think differently. It’s all been so secretive in all the places I’ve worked – we’re not even allowed to discuss any bonuses (since you’d be able to calculate them as a percentage of your salary). I think as I’ve gotten older, I’ve become less bothered about what I earn in comparison to others – increasing salary was always within my control, either to leave for a higher paying job or to negotiate a better one. The idea of being less committed I think will come from people not really understanding what you are trying to achieve. Thanks for stopping by and hope all’s well with you. Ha Ha I like your comments about being anon! Your brave to have your photo up – me not so much! Don’t worry if you get famous it will be running round saying I “know” you. Is it weird my friends and family don’t know I’ve quit work yet? been a good few months since I did! I’m keeping Mr Fire away from HUEL as I’m not sure we can afford that and protein powder! I don’t know why I put that photo up in the first place when clearly if my friends/family saw it, they would recognise it as me! Not revealing that you are not working must be even tougher though! I don’t know how you’ve managed it! Good luck with the protein powder – I’ve found that my body copes better with Huel than whey powder but I guess everyone is different! Yes, thanks for the concern – see my reply to @diy investor (uk) where I will switch to unsweetened next! Well, I’ve been away from blogging for a few months, and am pleased I decided to check your latest news, very interested in the topic of anonymity and blogging. Completely understand why you would only want to reveal your identity on your own terms. It’s still taboo to talk openly about what we earn and our personal finances, which is exactly why it’s so useful when brave strangers open up online and allow us a peep into their financial lives! I’m in the minority it seems from the above, as I told some family and friends about my blog (and was a bit hurt to discover that generally they’re not interested!) but don’t want my employer or anyone professionally to know about it. It was easier to blog anonymously in the beginning, but it can get difficult trying to share your own story without revealing too much of it. Sometimes, I have to rewrite my posts as I’m revealing too much! Thanks for stopping by and hope all’s going well with your journey. Anonymity is definitely in the forefront of my mind, largely for professional reasons. I work with lots of lovely people, but as a Shrink we’re told to expect to get stalked at least once or twice in our professional lives. I don’t particularly want to make that easier for the stalker. I try to keep my figures exact, but hide details on the specifics of my spending in the real world. I also don’t put pictures I’ve taken on my blog to avoid geotagging issues. I suspect if people really wanted they could scrape metadata from my screenshots, but that’s going some. I think if someone close to me in real life read the blog they would piece together it was me, but it would have to be someone who knew when I bought a house, got married, went on honeymoon etc. I don’t really mind friends or colleagues knowing, NHS pay-scales are nationally available, but I don’t broadcast or talk about my blog other than to MrsShrink. Perhaps once the numbers start building that will change. I could never be a mouthpiece for financial independence, partly because that’s not my personality, and partly because it’s such a personal thing. It’s all been said before anyway by people like MMM and Barney. Gosh, different problems for you for definite as I don’t have to contend with stalkers! Thanks, I’ll continue to do my thing! Huel is great! I’m the ultimate meat eater, but started on the shakes 2+ years back. I’ve moved onto the bars now. I replace breakfast and sometimes a mid morning snack with them. I have delivered direct to work (we are lucky on that front) and as there are no shops near by it’s Huel or hunger. I have to say I find myself more alert in the afternoons since using it, and for the unhealthy eaters like me it’s a good source of vitamins too. I agree with you on the “fame” front too. I’m a bit further behind you in reaching FIRE but I find I can’t share with friends or even most of my family my financial status. They all know I paid off my mortgage, but that is usually explained by me living in the NW when they are all Southerners! My colleagues often are surprised by things I buy (as above, everything is delivered to work!) but I guess they think I’m flexing my credit card rather than planning and spending according to a very rough budget. I hope you do keep the blog going, I thoroughly enjoy it! Thanks for sharing your experience with Huel – it’s good to hear from someone who’s been happily using it for a while. When people see me drinking it at work, most think it’s a protein shake and as quite a few of the lads are on those, nobody’s batted an eyelid. Well done on paying off your mortgage and funny that your colleagues think you are being spendy on your credit card! All the best with your FIRE journey and thanks for reading my blog! I too am blogging anonymously about FI/RE, but unlike most of you guys, my reason for doing so is mainly for security reasons. I’m surprised to learn that so many feel they have to “hide” what they are spending alot of their free time doing. It makes me a little sad, actually. If you were spending hours and hours on the Internet, learning a new language or how to make crochet animals, would you want to hide that from your friends/family/coworkers? – They’re like “meh, good for you”. I agree that there’s bound to be some jealousy here and there, but you kind of just have to ignore that. I feel that this whole FI/RE mentally is quickly becoming a big part of my person. I wouldn’t what to hide who I was to people. It’s not about “throwing it in their face”, but if they ask what I’ve been up to with my life for the past year, It’s going to be hard for me to omit my FI/RE journey. Anyway, I’m not knocking on your choices. You have your reasons, and one should stick to whatever makes one comfortable. I just really think it’s a shame that alot of FIRE people feel they have to hide their “true identity” to the people around them.. I guess people have different reasons for remaining anonymous. Also, there are other things I spend a lot of time on which I wouldn’t mention to friends/family/colleagues, so it’s not just reading FIRE blogs or learning about investing! People judge if it’s not something they do or are into! Good to hear that you are proud of your FIRE journey – I’m not sure I would say I’m proud of mine, but I’m definitely pleased with my own progress. The purpose of my blog? I created it as I wanted to document my own quest for FIRE so it acts as a personal journal. The strangers who read and comment provide me with new ideas, motivation and affirmation that I’m on the right path. The act of logging my progress in public is an incentive for me to keep going towards my target. My family and friends are not part of my journey so there’s no need for them to know about my blog. Re the liquid diet, I add chia seeds to my shakes so I chew on the seeds – I didn’t realise it meant better absorption to be honest but it just feels like I’m ‘eating’ rather than ‘drinking’! All the best with your own FIRE journey and thanks for stopping by! Seeing as I mostly keep my head out of what’s going on in the news (on purpose) I think I’ve missed most of the mainstream coverage of FIRE. It’s interesting to hear it’s being talked about more though. My gut instinct is that it must be a good thing, but I totally understand how it’s unnerving for maintaining anonymity as a blogger in this niche. I am so keen for people to learn about the concept that financial independence is possible, even if just one person gets that ah-ha moment from a piece of coverage I think it’s good. I once had a different blog which I wrote anonymously where I shared my financial data, but I made a conscious decision to start a new blog where I could use my name, so that I could make it more personal, but this time I chose not to share my actual financial figures (just percentages of net worth increase). I am happy to share (and do share) the figures for my income hustles though, because this is only a fraction of my overall financial picture. I do tell my family and friends that I have a blog now and what it’s about, but I only give them the name/details if they ask for it. I don’t want to shove it down anyone’s throat! Somewhat disappointingly hardly anyone has asked, and of those who have I think barely anyone has even looked. My Mum is on my mailing list and did read one of my posts(!) butI don’t think she reads regularly. If I knew a friend or family member had a blog or vlog I’d be excited to read it, but I guess many people are still not into following online blogs/vlogs. Like many of the other commenters, I sincerely hope you continue with your blog for many years to come as I thoroughly enjoy following along! Corinna | Inspiring Life Design recently posted…How Have I Got On With My 2018 Goals? FIRE in the mainstream I think is generally a good thing, especially if it encourages some to start thinking about their financial futures. Still not sure what I’d do if I got found out though – it’ll just depend on who they are and what they say to me when they ‘discover’ me! Thanks for your continued support and I hope to continue blogging about my journey for years to come! Thanks for sharing your thoughts about blogging anonymously. It’s interesting to see that most of the commenters here are doing likewise. I started my own FI journey a couple of years ago and recently started my blog, writing under my own name publicly. Since my goal is to get more women thinking about FI, I thought going public would make me more relatable and real. Besides, I hardly have much of a following here in my country except for a couple of hundred followers on Medium which is where I write publicly too. But just last week, a colleague asked about my blog and my reaction surprised even myself. I told him that it’s just something I do for fun and my boss doesn’t know (I think) so I told him to please don’t say anything about it to anyone. My kids know about my blog and they read it and tell me some of my articles are lame. But I tell them the reason I write about my FI journey is to document and teach them about financial literacy that no one taught me before. I think it’s even more important for them since they are surrounded mostly by upper-middle-class kids who don’t seem to understand the value of money. I figured if I’m going to write and blog about something, I want to be proud about whatever I put out. Still, I worry I may lose my job, people will judge me, I will get laughed at etc. Yet, it is for these very reasons – the shame, guilt and egos – that I write publicly to raise awareness and address the taboo around talking about money. I’m not sure if I’m doing the right thing sometimes, but I know not talking about it (whether publicly or anonymously) is something I can no longer not do. So thanks Weenie and everyone here for doing what you do! Thanks for stopping by and sharing your own FI story. I see why you have gone public as you are seeking to educate and there’s more credibility if you are not anonymous. It is a great thing you are doing, to raise awareness, to help women become financially independent – I wish you all the very best on your journey. Thanks Weenie! Looking to hear from from you.